What a strange and queer combination of energies that must be gathered together at the moment of our conceptions. First, there are the spiritual and religious forces and then there are the sexual and physical aspects. All of these are fashioned into a single individual—a man, a woman. These different forces are bound together— compelled to live under one roof, so to speak, and get along. Then, there is the plan, the destiny, the ancestors—the combined genetics that is brought into play. How very complicated it all seems—and how difficult to hold everything together in one self. Yet, how very simple it might be—it is— because it depends on the way we look at things—for ultimately, there is the gathering and then processing of the golden elixir and in the end of all things, it’s love with all its forms and aspects that survives and prevails. we must all find our way back to one another. or it can be quite simple. whose souls span space and time. we are the force who cares. who always gives of himself or herself the very best. that's poured into the dwelling. and the all in all. Love is that which comes closest to the Tao. queried the flower to be bee. “How should I know the answer to such things? My life is full with sweat and labor. asking her that question about love. is like trying to deal with the supernatural. One must be truly careful. and our inherited genetics will have their influences. will have fallen into place. and our path in life has been changed. It’s the little things that can make the difference. They’re most often in need of our help. you’re really not acknowledging elements in your own self. Robert M. Jankel is a retired art teacher. He’s also a poet and an artist. For much of his life, Robert has been using the I-Ching and has taken a special interest in the Tao Te Ching, Lao Tzu and Chuang Tzu. That means he is supposed to keep his mouth closed and not talk too much. Sadly, he often fails Lao Tzu’s litmus test. He doesn’t make too many formal speeches, however. Robert and his whimsical wife, Carolinda, live near the Angeles National Forest in California. They have two cats, Simon Beauregard and Argyle. The Tao Te Ching, a Chinese classic by Lao Tzu, is about 2500 years old and consists of just 81 poems or chapters. It is so profound, it might be possible to write an entire book about only one of the poems in this book. 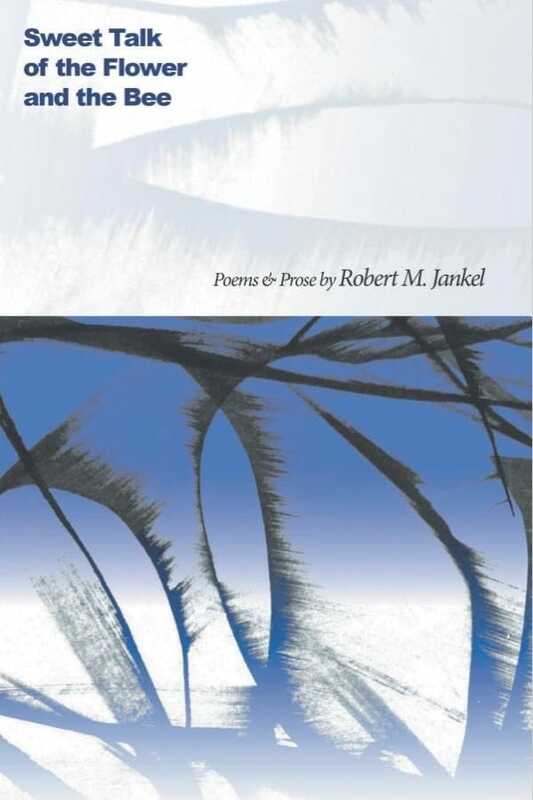 Robert M. Jankel began writing Tao Te Ching, an Intuitive Interpretation in 1988. His book offers three interpretations side by side: the first a literal translation, the second is more liberal or expansive, and the third version is visual. This encourages the reader to intuitively come to their own unique and expanded understanding. The first 10 poems are included in this PDF download and you can purchase the full book from Amazon.com. Robert has another book called The Plan, The Need, The Hope and The Promise. The author writes: “It is our separation from each other that brings the disorder into the world. It is our desire to outdistance one another, our belief in a personal superiority, and it is an egotism multiplied a billion times that causes the cracks in the world and perpetrates the divisions in each of us.” Jankel gives us a road to understanding the pure spirit with which we were born. When we discern this, we can take more consideration of each other, the nation and the world as a whole. And that is The Plan.